Can any one help? i have something growing in the middle of my squash that has large 8 lobed leaves. It is dark green and thick green stalk. It has started to put off a little something that looks layered like a archichoke. They are everywhere in my garden now. They are not squash and they are not cukes, at least not typical. i am planting where someone else planted heirloom plants last year. 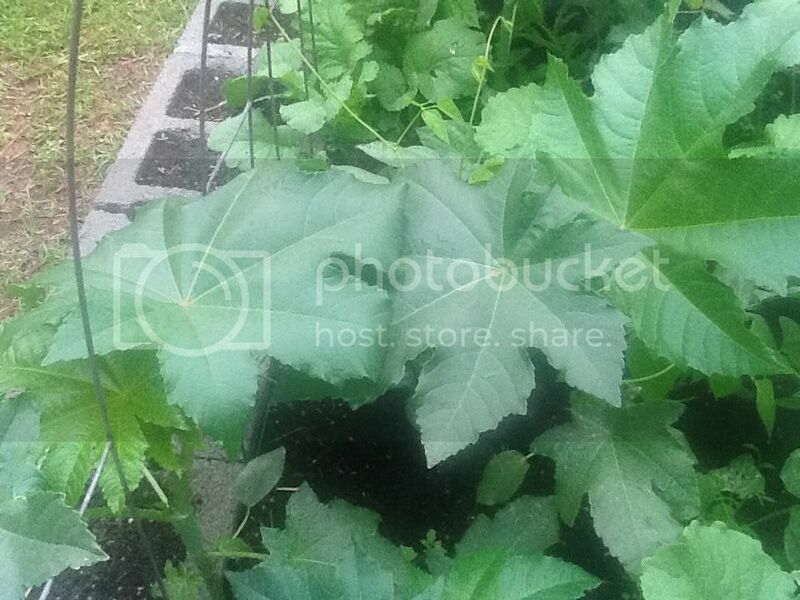 It looks sort of like a large okra, but okra has 5 lobes on each leaf. This has 8 lobes and is about 10 inches wide. Can anyone help? I don't think so. i am beginning to think it is an okra. Most okra only have 5 lobes on each leaf, but I still think i am getting close. I can not figure out how to add a picture. If I could, you might recognize it. thanks for your suggestion. finanally learned to add photo link. Thanks....I looked up Castor bean and the leaves look exactly the same. However, they are not coming up like a tree...they have soft stems just like a squash plant. Well, castor bean is close enough for me. Looks dangerous. I think I will just destroy them. Looks like a squash plant. Do a Google Image search for castor bean. You will see the leaves of the bean are much more deeply cleft. Hmmmm, though I believe squash only has 5 lobes on the leaves. Might be a castor bean. Jal, I just went across the street to look at the candlebeans (our local name for castor) on the empty lot across from me, and that's exactly them. Nothing like having a weed to compare with! Thanks to everyone for your help. Mystery solved!